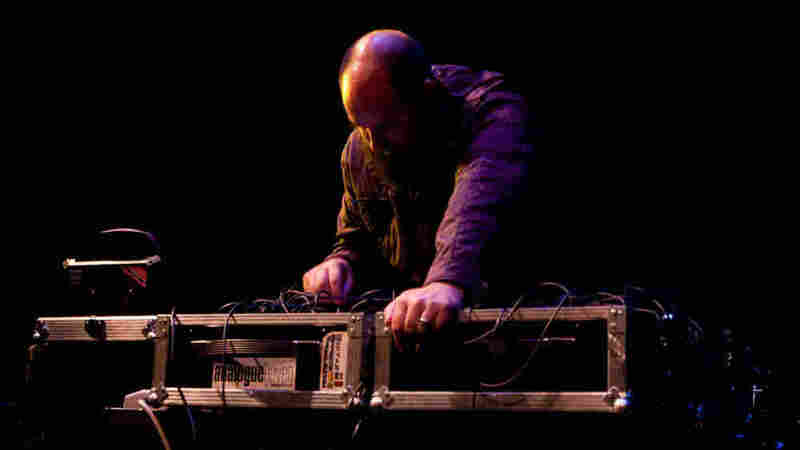 A Brief History Of Electronic Music: Keith Fullerton Whitman In Concert : A Blog Supreme At the Theatre Project, Whitman stood center stage, hovered over four synthesizer units in a perfect 2x2 formation. Rapid-fire popcorn electronics took a turn into Stockhausen-esque trance at the High Zero Festival. Keith Fullerton Whitman performs at the High Zero Festival. There will forever be something fresh in improvisation beyond genre -- music which, at first listen, appears to come from nowhere. Baltimore's High Zero Festival, now in its 12th year, seeks these new sounds with ardent attention. Curated by the High Zero Foundation, the festival sets up combinations of improvisers of all strides, from both Baltimore and beyond. A Blog Supreme is happy to present a few recordings from this year's event. Delving into Keith Fullerton Whitman's discography is like listening to a history of electronic music. 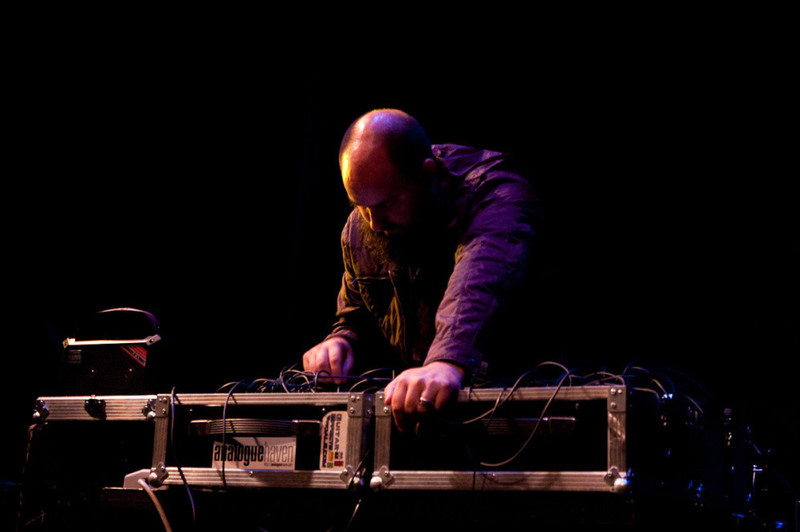 Under many guises, he's made fractured dance music as Hrvatski, experimented with the jittery Max/MSP software and processed guitar drones under his own name. But his obsession of late is synthesizers -- not the keyboard-based Moogs, mind you, but patches and knobs. Lots of them. At the Theatre Project, Whitman stood center stage, hovered over four synthesizer units in a perfect 2x2 formation. What followed was a series of reactions; first, rapid-fire, popcorn electronics distorted manically, yet always under Whitman's control. While Whitman programs these modules, there's no telling how a twist of a knob may affect the process. In fact, it makes the performance all the more interesting to watch. Following a static segue halfway through the set recorded Sept. 26 at the High Zero Festival, the improvisation took a turn into Stockhausen-esque trance. It built on oddly blissful repetition, and devolved into blasting house music.